There is no excuse for the current policy at the US border with Mexico. It was indeed changed by the current administration in April, regardless of how Trump tries do deny responsibility. His Attorney General and Homeland Security Secretary don’t run from it. But while there is no excuse for this policy, it is important to note that it is not particularly different from the horrors that our immigration laws have inflicted for at least a generation, if not longer. It is indeed an attempt to fully enforce existing law, a series of laws never fully put into place because they do indeed violate basic human rights. Never enforced, that is, until now. The current violations of decency and due process highlight a dance that the US has long had with human rights violations. When the music stops it is long past time for us to review not just this policy but every aspect of immigration and border control. America is bigger than you or I can ever imagine. We need to try to imagine it, however. That used to inspire us. Anyone encountering Customs or ICE is having a bad day, regardless of who they are. When a border or immigration action is declared, all constitutional rights are effectively gone. You have no right to privacy, and everything can be searched. There is no fourth amendment. You can be held immediately, as the probable cause for suspecting you is simply being there at that moment. This holds true for US citizens, legal residents, and those without documentation alike. One example of how impossible they are to deal with occurred in 1982 when nearly all of Monroe County, Florida, was held hostage by a “border check” on US1. The result was that Key West declared itself an independent nation in a desperate bid for publicity and help. The Conch Republic was born. But that was nothing compared to what has been in the works since 1996. There was a large spike in migration from Mexico at that time, fueled by a serious agricultural crisis driven by agricultural mechanization and major economic reform. Millions were without work, especially those whose farm jobs were lost to machines. They came northward in a wave. Current human rights abuses are a culmination of years of policy, not anything new. They were met with the Illegal Immigration Reform and Immigrant Responsibility Act of 1996, passed by a Republican Congress and signed by Pres. Clinton. There is indeed plenty of blame to go around. The bill made it easier to deport people and much harder for anyone to ever become an American citizen. The reason why there are so many people who have been in the US for 10-20 years without documentation, estimated to be over 60% of the 11M undocumented, is that there is no path to citizenship for them. The 1996 law closed them all down. At the borders, things have also become much worse. Detention for nearly indefinite periods awaiting verification of status is common, even for those seeking asylum and supposedly protected by treaty obligations. 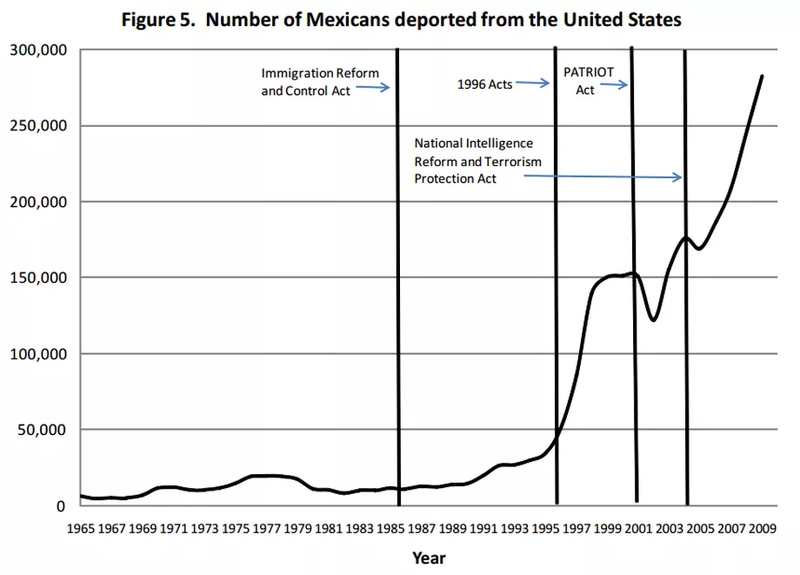 Deportations have been rising more or less constantly since that time, especially for Mexicans. Deportations to Mexico. The net change in 1996 is very clear. Since 2008, immigration from Mexico has slowed down as their economy stabilized. Today’s immigrants are from Central America, escaping violence in the region. Their situation is more dire and their journey to come here much longer. The process they are encountering is indeed less respectful of their basic human dignity, but it is not as much worse as it is commonly portrayed. 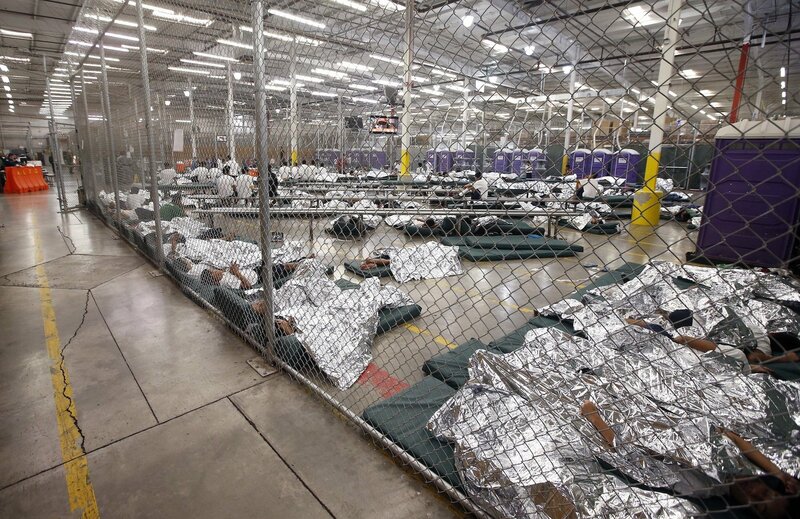 Even without this new policy, they would be detained, treated like garbage, and probably deported. What is the solution to this? In the short term, we must be more respectful and kinder. But in the long term the only solution is a North American one. History shows that a rich nation cannot remain stable when it has poor neighbors. It must either absorb them or give them opportunities to stay at home. It may sound appealing to place great machines of enforcement on the border staffed by people in uniforms, but this never works indefinitely. It certainly is not possible for any nation which is humane, decent, and a genuine beacon of freedom for the world. Until we truly love our neighbors as we love ourselves, there will be problems like this. And there will be horrors if we cannot treat situations which arise with love. What is happening now rightfully reminds everyone of the Nazi era. But we came here from a place not as far away as you might think, and we came here quite willingly. Everything has to change to genuinely put a stop to this. 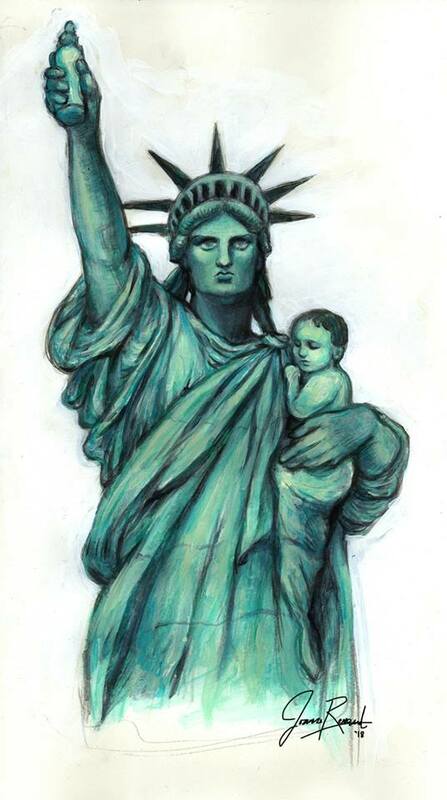 This entry was posted in Nooze, Politics and tagged child separation, current events, detention, immigration, News. Bookmark the permalink. This problem should have been addressed decades ago when it started. Nipped in the bud, so to speak. A country without borders and an official language is not really a country. See what happens to you if you overstay your Visa in any other country, much less try to enter it illegally. They will not let you in….or if you are already there, they will throw you out. My Italian grandfather came through the front door. Not under the rug. I would not be so sure that your family was completely legal. Many, many people came here after 1924 in violation of the quotas that were put in place. I would advise checking that out carefully. And there is no shame in how “our people” came here, some of mine were indeed refugees. The definition of “illegal” is what is at issue here. Yes, a law was passed and people are not allowed in. Is that law reasonable or just? Is that law actually who we are as a people? That is what has to change. And it can. We have to be better. There is no doubt in my mind that there will be a greater demand for immigrants, not less. As it is, the current crackdown has many crops rotting in fields. We have no connection between our policies and reality. Why not? 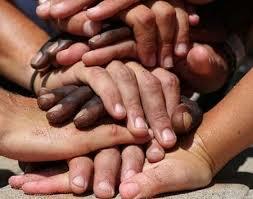 Why are we so very nasty when it is clear there is work to be done left undone by those who are here? I suppose that I should add that this post is in response to several conversations I’ve had with people defending the administration. Most of the excuses I cannot stand, and frankly bring me to tears thinking that people can make excuses for child abuse. But those who have said that “Clinton did it, too!” were not offering a valid excuse but they sure had a point. They forced me to consider again what I’ve long known – that our immigration policies are a horror. So I should thank them for that lesson. I’ve long wondered why we don’t work with Mexico and other countries to bring them to a point where their people don’t have to leave. It seems so obvious a solution. Having poor or violent neighbors is never good policy. Liked and shared! How much would it really take to bring Mexico up to a standard maybe not the same as ours but close? Good that you see blame everywhere. I do too.